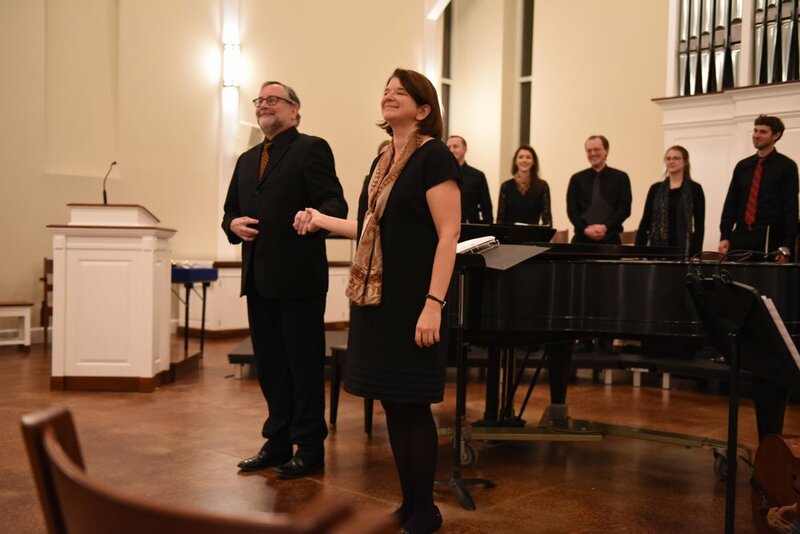 Under the dynamic leadership of artistic directors Ellen Dickinson and David H. Connell, we gather together through our choruses, handbell choirs, and workshops to make beautiful music. Founded in 2011, Music on the Hill has something for everybody. 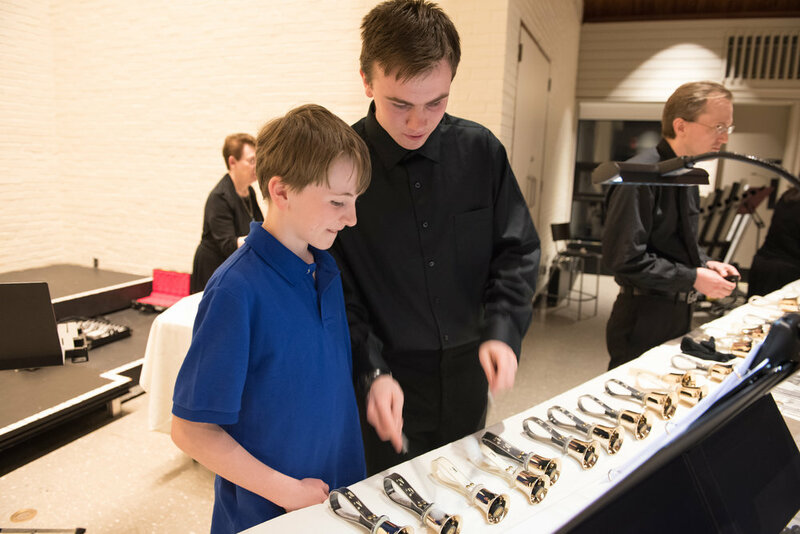 We offer educational workshops and social events, and our four ensembles perform six concerts each year, each with a diverse and thoughtful repertoire. Join us and discover what makes our vibrant and joyful musical community so unique! To encourage music performance and music education for all ages. To foster the artistic growth of participants and strive for excellence. To inspire and enrich the community with high-caliber musical offerings. Please sign up for our email list to stay informed about news, events, and workshops from Music on the Hill! A different piece led by a different conductor each week! The audience is the chorus. Come to one, or come to all. Music on the Hill's ensembles meet on a project basis, allowing musicians to commit to a four to six week cycle of rehearsals at a time. Each July, singers from across the region assemble for our Summer Chorus to perform a major choral work. Summer Chorus is our largest ensemble and is open to all without audition. If you've thought about joining us, Summer Chorus is a great time to start. 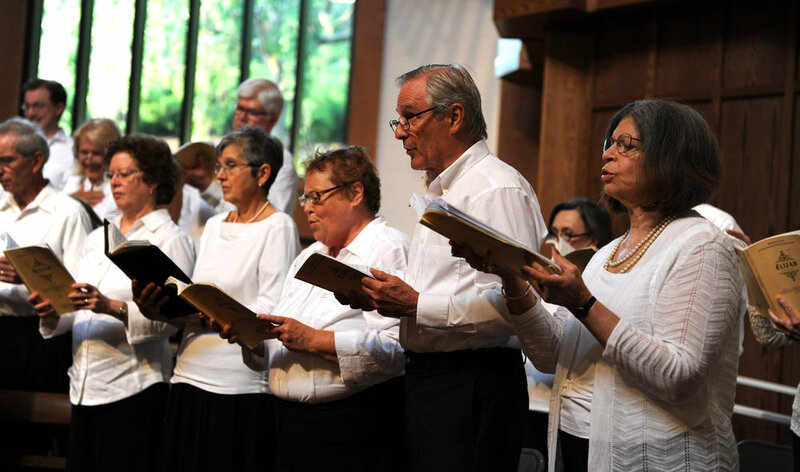 Festival Chorus is a 40-voice choir for experienced singers, and is open to all without audition. 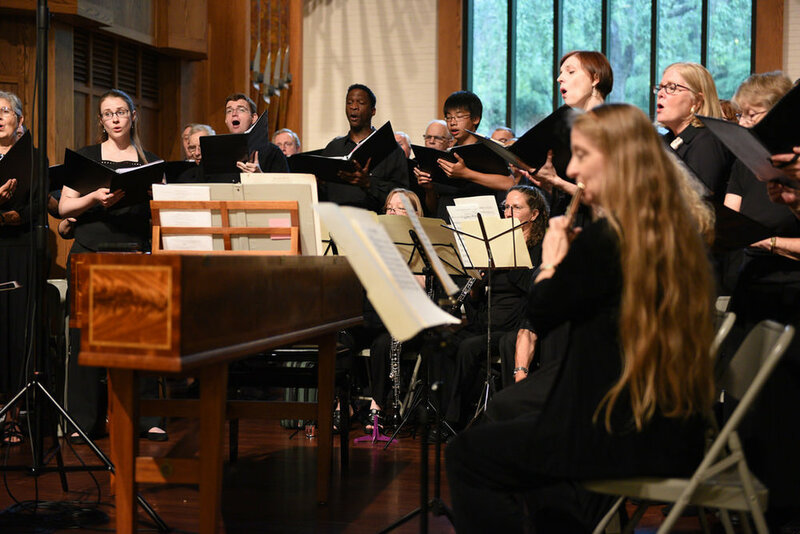 Festival Chorus has performed major choral works, as well as themed concerts, all rooted in a love of singing. The artistically enriching and challenging repertoire is enjoyed by new and experienced singers alike. 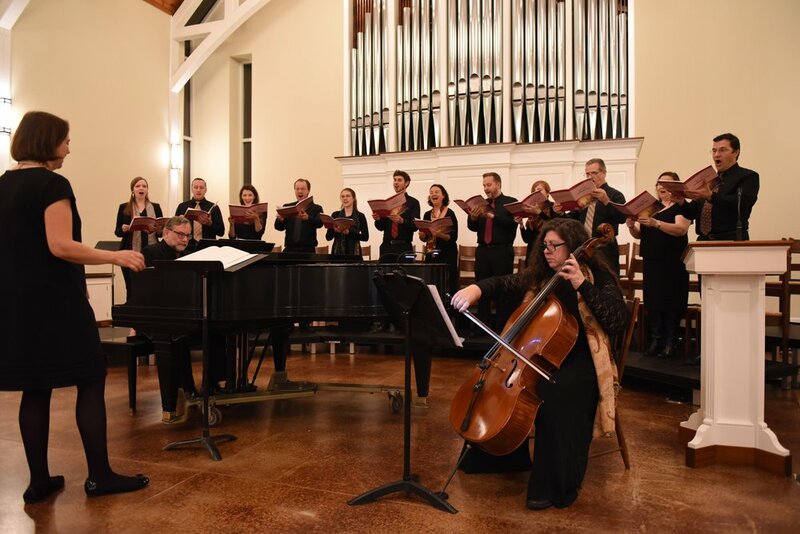 Chamber Chorus is a 16-voice professional vocal ensemble with a varied repertoire spanning the centuries. Each year at their fall and spring concerts, their versatility of style delights and transports audiences. To audition, please email info@musiconthehillct.org. Jubilate Ringers is a skilled, amateur handbell ensemble, performing advanced repertoire and techniques. Jubilate Ringers performs throughout the year including at the popular Sounds of the Season Christmas Concert. 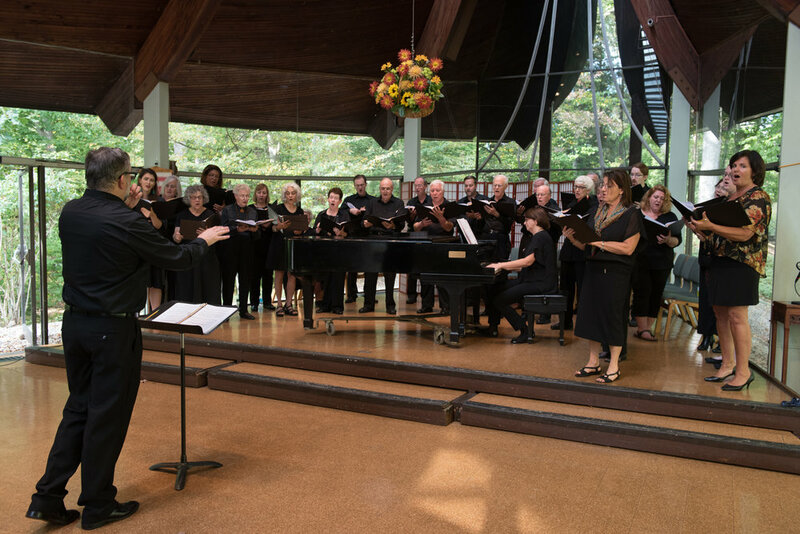 To join Summer Chorus or Festival Chorus, or to request an audition for Chamber Chorus or Jubilate Ringers, please email info@musiconthehillct.org. Ellen Dickinson has been the founding director of nine different ensembles, including the Jubilate Ringers (2006) and the Summer Chorus (2003), both now under the Music on the Hill umbrella. She was Director of Music at Norfield Congregational Church in Weston for 11 years. An active carillon recitalist and teacher, Ms. Dickinson is College Carillonneur at Trinity College in Hartford and director of the carillon program at Yale University. Ms. Dickinson holds a B.A. in music from Yale College and the Master of Music in Organ Performance from the Yale School of Music and Institute of Sacred Music. David H. Connell is Director of Music & Worship Arts at Norfield Congregational Church in Weston, and directs the Choral Music program at the North Carolina Governor’s School West in Winston-Salem. Throughout the 1990s he taught at the Yale School of Music and directed the Yale Glee Club, touring across America and around the world. He was the founding director of the Yale Alumni Chorus, and led that group in tours of China, Russia, and Great Britain. Dr. Connell holds the D.M.A. from Yale, having earned his B.Mus. at the Philadelphia College of the Performing Arts..
Ms. Dorset holds a B.A. in Chemistry from Smith College and works as a drug discovery chemist at FORMA Therapeutics in Branford. She rings with the Jubilate Ringers as well as Southport Congregational Church and enjoys performing handbell solos. Her handbell career started at Smith College in 2006 where she was also captain of the swim team. She also sings with the Festival Chorus. Rachel enjoys spending time with her family and traveling. Ms. Bogard is a chorister, handbell ringer, pianist, former high school teacher, and mother of three girls living in Wilton. She holds a Masters of English Education from the University of Chicago. She served on the board of Chicago Community Midwives, co-chaired the Midwifery Task Force, and directed public relations for Chicago's 1994 International Midwifery Conference. She helped to establish the Chorus Music Boosters at Wilton High School and led that group for two years. She is a member of the Sanctuary Choir at Norfield Congregational Church in Weston, the Norfield Handbell Choir, and the Jubilate Ringers. Ms. Gordon received a B.S. in Elementary Education from Teachers College, Columbia University. She has held local, regional, and national offices in the Embroiderer's Guild of America, Inc., an educational non-profit organization with 10,000 members, and is active in her local chapter. An avid amateur musician, she sings in the Norfield Congregational Church Sanctuary Choir and plays with the Norfield Handbell Choir and Jubilate Ringers. Born in Indiana and brought up in Michigan, Mr. Klump holds a B.S. from Yale University and a Ph.D. in chemistry from the University of Chicago. He has worked as a chemist at the University of Southern California, the GTE Laboratories in Bayside, Queens, and the Mellon Institute at Carnegie-Mellon University in Pittsburgh. He also worked as a software engineer for Norden Systems in East Norwalk. Growing up, he played clarinet and sang in church choir, and he now sings with the Festival Chorus and Summer Chorus. Mr. Klump lives in Ridgefield with his wife, Louise Klump, and has one grown daughter, Anna Klump Pilston. Mr. Patrick holds a B.A. in European Studies from Amherst College and an M.A. from the School of International and Public Affairs at Columbia University. His career has focused on the financial and professional services industries in a variety of administrative, finance, and operating functions. He has been a member of the University Glee Club of New York City since 1981. He started singing with Music on the Hill with the Summer Chorus in 2015, and currently sings with the Festival and Summer Choruses. Mr. Patrick lives in Westport with his wife, Susan, a musical theater actress and a vocal and acting coach. 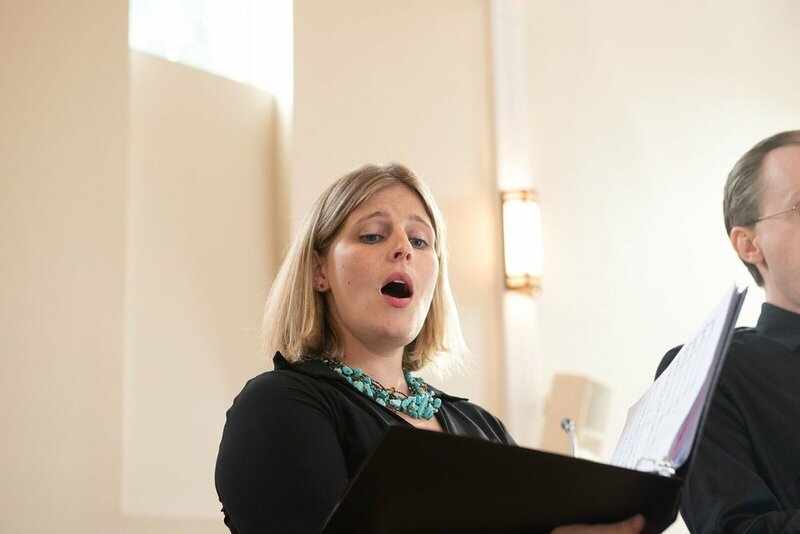 Sarah Bleasdale-Coleman, long time singer with Music on the Hill in both the Chamber and Festival Choruses, holds degrees from Yale University and the University of Arizona School of Music. She is an AGMA member, apprenticed with Dicapo Opera and Sarasota Opera, and studied with the Atlantic Theater Company. She has enjoyed a long theatrical career, singing opera, operetta, and musical theater, and has soloed at Carnegie Hall and Lincoln Center. Sarah lives in Stamford with her family, where she is active as a volunteer with several local organizations. Anne-Elena Buckner aka Anna, was born and raised in Paris (France, not Texas). Her career started as a professional student, earning numerous degrees in history and languages from the Sorbonne. Back in the US, she tried to inculcate the love of the French language in young, impressionable college minds. She failed dismally. She then found her calling in the administration of the performing arts. She worked as head of PR for the Harriman-Jewell series and the Conservatory of Music at UMKC. She moved to Connecticut in support of her husband Bob’s career. Both Anna and Bob enjoy singing with Music on the Hill, particularly in Latin. They live on the Norwalk/Westport border with their 100+ pound dog Chouchou, who has issues. Ms. Handler holds a Bachelor of Music from Mannes College of Music and a Master of Music from State University of New York at Stony Brook. She is the author of Playing the Guitar, published by the Excelsior Music Publishing Co. She has studied classical guitar with Frederic Hand, and has performed in master classes given by Eliot Fisk and Oscar Ghiglia. Ms. Handler is director of the handbell choir at the Unitarian Church in Westport, where she also sings in several choirs. She is also a member of the Jubilate Ringers and the Weston Summer Chorus. Wendy Levy is a clinical and forensic psychologist in Westport and Assistant Clinical Professor at Yale University School of Medicine. She graduated from College of William and Mary and Columbia University, and holds a doctorate in Clinical Psychology from Yeshiva University. Wendy was born and raised in São Paulo, Brazil and began singing in choirs from a young age. 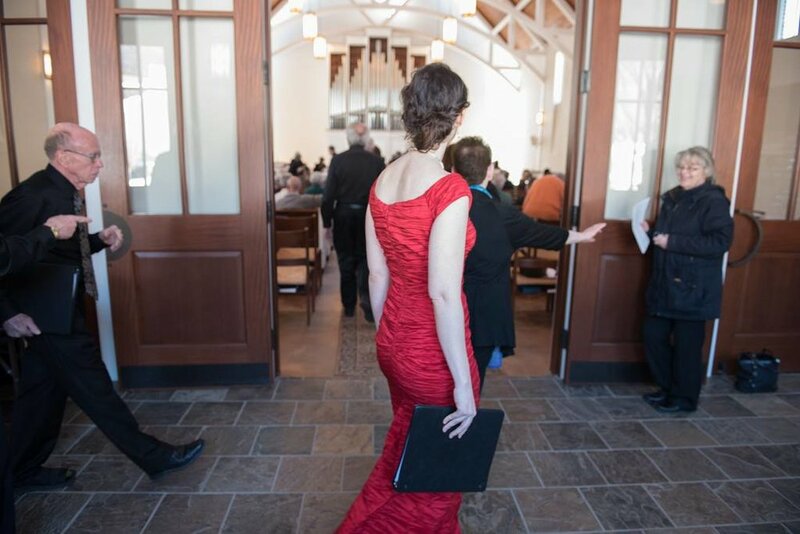 In Connecticut, she has been singing with the choirs at the Unitarian Church in Westport since 2000. She began singing with the (pre) Music on the Hill Summer Festival Chorus in 2005, and is now an integral member of the Festival Chorus. Elizabeth G. Miller (Betsey) lives with her husband, Alan Melting, in Pound Ridge, NY. She holds a B.A. from Goucher College, an M.A. from The Courtauld Institute, University of London, and an M.B.A. from Columbia University Graduate School of Business. Now retired, her career was focused on building institutions, physically and fiscally, both profit and non-profit. She has three grown children and one grandson. As a musician, she is a pianist and flautist, and a long-time handbell ringer, and has sung in a wide variety of choirs. She sings and rings with Music on the Hill and at the Unitarian Church in Westport, CT.
Mr. Miller is a graduate of Virginia Tech with a B.S. in Chemical Engineering. He retired from Union Carbide Corporation as Associate Director of Unipol Licensing Services. He served as president, treasurer, and concert manager of the Victoria Bach Festival in Victoria, Texas for nine years, and sang in that group's Festival Chorus. He also served as the president of the Victoria Cultural Council. He serves as First Selectman's representative on the Water Pollution Control Commission in Redding, where he lives. 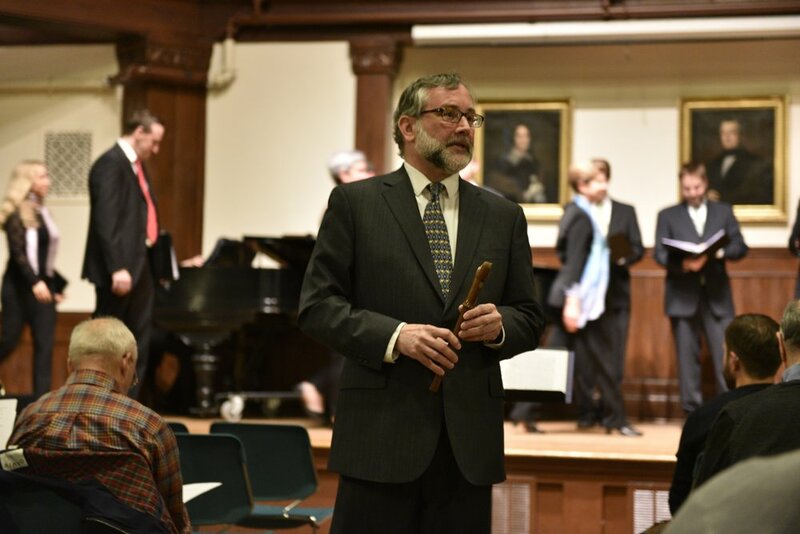 An avid golfer, he sings in the Sanctuary Choir and plays in the Handbell Choir at Norfield Congregational Church in Weston, as well as in the Jubilate Ringers. Ms. Miller holds music degrees from Butler University and Valparaiso University, and is an active performer, teacher, and director of vocal, piano, and organ music. She was a founding member of the Victoria Bach Festival in Victoria, Texas, and directed and performed with that group for ten years. She has sung with the Wilton Singers and sang with the Songspinners for fifteen years. She currently sings in the Sanctuary Choir and plays in the Handbell Choir at Norfield Congregational Church in Weston. She sings in the Festival Chorus and plays with the Jubilate Ringers of Music on the Hill. Ms. Miller lives in Redding. Ms. Moller has a B.S. in Psychology from The Ohio State University and an M.A. in Educational Technology with a certification as a School Library Media Specialist from Fairfield University. Her varied career has included owning a small business, head teacher of a nursery school, and her current position as a school librarian. She has served as committee chair of the music committee at the Unitarian Church in Westport and was one of the original members of their bell choir. She now enjoys learning and performing with the Jubilate Ringers of Music on the Hill. Ms. Pennoyer graduated from Sarah Lawrence College and holds a Ph.D. in Clinical Psychology from New York University. She is a clinical psychologist in Westport, where she works in private practice and in independent schools. She is the president of the William C. Bullitt Foundation and former chair of the Board of Music at Norfield Congregational Church in Weston. She has lived in Weston since 1994 with her husband, John Auchincloss, and her children, Emily and James. Music on the Hill is a 501(c)(3) nonprofit organization.